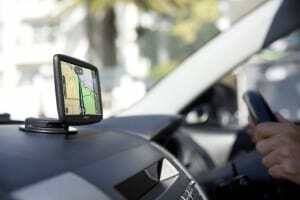 ​TomTom announced the launch of three new sat nav devices for cars earlier today (3rd May) , which should be of great interest to fleet operators around the world. The latest innovations from the company include address search, routing, guidance and the most up-to-date maps. As for the look of the new TomTom range, all products are slim and stylish, and have been created to make people enjoy a premium driving experience that's price-friendly. The company expects drivers to particularly appreciate the average speed limit information that the sat nav provides, as measuring average speed on road networks has increased. SPECS and VECTOR cameras are becoming more and more common on UK roads and, according to TomTom, there are 325 average speed zones throughout Britain. This is a huge increase as there were 167 in 2013, which is an uptick of 95 per cent in just three years. Named the Start series, the new range has a feature that will keep drivers aware of their average speed, in an attempt to keep their driving safe. Similarly, the company's Advanced Lane Guidance feature on its new product range will give drivers more clarification when they come to complicated junctions, decreasing the chance of missing a turn, or taking the wrong exit. Lifetime Maps is a feature that will make changes to road networks on the TomTom device, without the need to pay for updated software or a new product. Corinne Vigreux, co-founder and managing director of TomTom Consumer, said: "Listening to our customers, we understand the responsibility we have as the most trusted companion to drivers, and with the new TomTom Start series, we're once again honouring that trust and confidence." In terms of sizes, customers can buy the TomTom Start with 4.3, five and six-inch touchscreens and the range comes with an integrated mount. The mount is also reversible, so drivers have the choice of switching between the windshield and the dashboard.